All receivers, whether two-channel or multichannel, switch among line-level sources. In A/V receivers, particularly the cheaper ones, the numbers of line-level RCA inputs have been reduced in exchange for more HDMI ports. 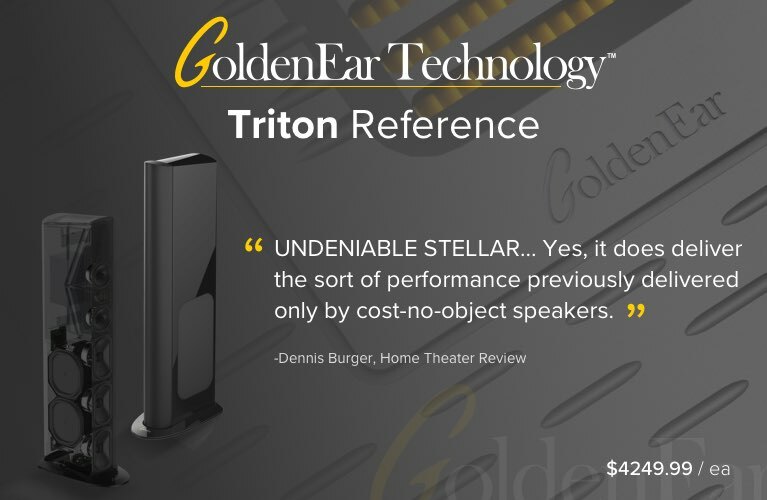 This trend has been less pronounced among stereo receivers and integrated amplifiers -- the last integrated I reviewed had seven analog line inputs. So I was surprised to see only one line input on Bel Canto Design’s new e.One C7R two-channel receiver. I thought, This is going to work only if the DAC and phono stage and tuner are all really good, as there’s only one slot for an outboard upgrade. Bel Canto Design, founded in 1990 and based in Minneapolis, do all of their design and manufacturing in the US. Among other goals, they focus on the DAC as the center of the audio system, and emphasize energy efficiency and compactness. The e.One C7R ($2995 USD) has a built-in USB DAC and phono stage, and its half-width case matches the appearance of the other models in Bel Canto’s full line of products, which include a CD player and a CD transport. Folded up in the C7R’s box is a poster featuring a glamour shot of the wide variety of these models, displayed together in a starkly empty room. The 13-pound C7R measures 8.5”W x 3.5”H x 12"D, sits on beefy rubber feet, and feels quite solid. The case is of steel powder-coated black, with a half-inch-thick faceplate of silvery aluminum (dark gray is also available). Cut into the faceplate is a wide slot with semicircular ends, the slot covered by a black screen, on which are a 1/4” headphone jack, a dimmable one-line display, and a single knob for controlling source selection, FM tuning, and volume. On the rear panel are the inputs: USB, line, phono, and pairs of optical and coaxial. 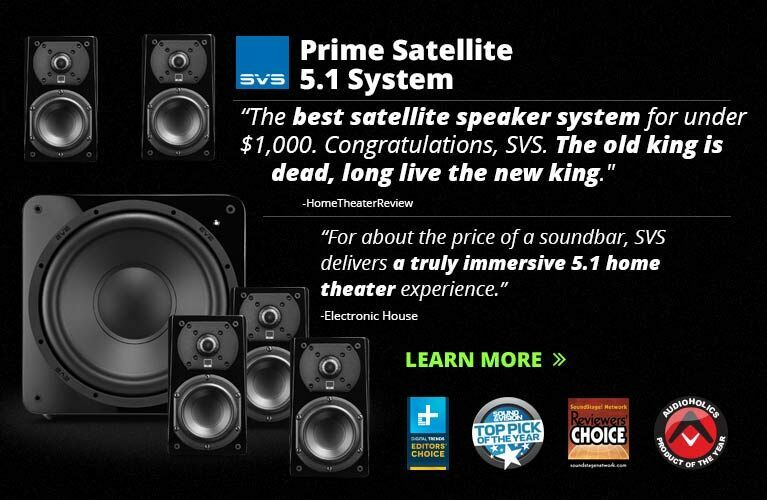 The line in can be toggled into Home Theater Bypass mode, which renders the C7R’s 24-bit digital volume control inoperable. I can see how this would be a handy feature, but I had no line-level source with a preamp out jack and a volume control, so I couldn’t test it. There are also connections for an FM antenna (the C7R lacks an AM tuner), the detachable IEC power cord, an infrared remote-control extension, a line out, and a pair of speakers. Included with the C7R are an infrared remote control, an FM antenna, and a printed, detailed owner’s manual, which warns that the antenna is not intended for listening: “The supplied antenna wire is only intended as a quick way to check the correct hook up and operation of the FM1 but should NOT be used for critical evaluation of the FM1 performance.” I didn’t even bother with it, but did find differences in performance when I used the two indoor antennas I had on hand (see below). Another surprise was the C7R’s utter lack of cooling vents. While Bel Canto discourages placing objects atop the C7R, after weeks of being left on at all times, the review sample was only slightly warm to the touch. The C7R draws only 14W, and is expected to be left powered on continuously -- it has no standby mode. Even in California, 14W works out to only $16.26 per year at present rates. After power-up, the C7R’s sound remained suboptimal even after the 100 hours of continuous-power break-in. The one time I turned it off (in order to move some equipment around), then powered it up again, I thought it was malfunctioning. Fortunately, it recovered, but it wasn’t ready for critical listening until the next day. My recommendation: leave it on. The C7R achieves its claimed power outputs of 120Wpc into 4 ohms or 60Wpc into 8 ohms while consuming so little juice because its output stage is a class-D switching amplifier. The massive heatsinks and transformers, gargantuan cases, and immense weights of many audiophile amplifiers are unnecessary with class-D amps, which also have the benefit of being simpler and thus, likely, more reliable. The C7R is backed by a two-year warranty. Because the audio sources I use most often are digital, the choices made by Bel Canto in designing the e.One C7R were appropriate for me. The only source that had been connected to my Onkyo TX-SR500 AVR (with its six line inputs) that couldn’t be accommodated was my tape deck -- not that I’ve used it much lately. I set my home-theater sources to output PCM rather than bitstream, and connected them to the Bel Canto’s digital inputs along with my CD player, PC (via USB and one of the C7R’s optical inputs), and turntable (to the C7R’s phono stage). According to Bel Canto’s Michael McCormick, the analog inputs are converted to digital at 24-bit/192kHz before being reconverted to analog. I do wish the C7R had an HDMI input to handle the DSD, or at least the PCM signals, that my universal Blu-ray player can output from SACDs. The two S/PDIF coaxial and two TosLink optical inputs can handle up to 24/192 streams with low-jitter Master Reference Ultra-Clock circuitry; the USB input is limited to 24/96. 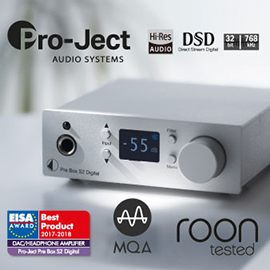 The phono input supports the more popular moving-magnet (MM) cartridge type, and provides a grounding terminal; a moving-coil (MC) cartridge will require an outboard phono stage and claims that single line-level input. I use an MM cartridge, but ground it through the ’table’s captive power cord. To the FM terminal I at first connected a RadioShack 15-1843 indoor FM antenna, and later a Fanfare FM-2G. I wired my Wharfedale Diamond 8.2 speakers to the C7R’s binding posts with banana plugs. It appears that the plastic protection surrounding the terminals limits the posts to accepting only small spades, along with the other varieties of terminators. The posts are nicely spaced, to allow easy connecting of heavy-gauge cabling. Plugging headphones into the 1/4” front-panel jack disables the C7R’s speaker and line outputs. The LCD screen provides large readouts, visible from across the room. 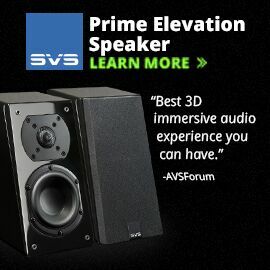 The default display is of the source and the volume level. Briefly, when beginning play from a digital source, the sampling rate (e.g., “96”) is displayed in place of the source. The remote’s Display button cycles the LCD through several information screens before turning it off entirely. The C7R saves the last level setting for each input (the default level is 50), which is quite handy -- not all source signals require the same amount of amplification. Cycling the power clears these settings. While sources can be selected from the remote control or the front panel, using the latter is a pain: You press the multifunction control knob, then turn it to cycle through the sources. But if the knob isn’t depressed far enough, the volume changes -- and if the knob is held too long while depressed, the C7R switches to FM tuner mode. Though the sources aren’t labeled on the remote (1 means S/PDIF 1, etc. ), the remote does provide direct source selection -- if multiple sources have been left playing, you won’t inadvertently hear them as you cycle through to your destination. A first press of the remote’s Mute button provides a soft mute of substantial volume; a second press fully mutes the C7R. While sharing many core features with Bel Canto’s tunerless e.One C5i integrated-DAC ($1895), reviewed positively by the SoundStage! Network’s Roger Kanno in 2012, the C7R incorporates the power-filtration board found in Bel Canto’s upmarket REF power amplifiers, as well as WBT’s NextGen binding posts. Together, these should provide greater detail and resolution. To them, the C7R adds the ability to disable or name individual inputs (up to four characters are displayed for each). Rated power outputs and other connectivity options are the same for the C7R and C5i. I generally don’t listen at very loud levels; the C7R was able to accommodate me easily, but I ended up setting its volume knob much higher than I usually do. 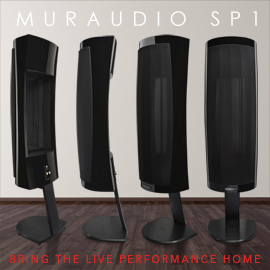 The C7R may be underpowered for those with large rooms and/or very inefficient loudspeakers, particularly with analog signals delivering less than the standard 2V. The only one of my regularly used sources that couldn’t be accommodated by other means was my SACD player, so I plugged it into the C7R’s sole line input. Beethoven’s Choral Fantasy, with pianist Hélène Grimaud and the Swedish Radio Symphony Orchestra and Choir, conducted by Esa-Pekka Salonen (SACD, Deutsche Grammophon 474 869-2), provided a rich mix of the delicacy of the piano line in cadenzas, control of massed instrumental and choral voices, and a vast but slightly imprecise soundstage. The call-and-response of piano and orchestra was handled nimbly, with well-meshing dynamic sequences. In the finale, a lack of definition in the low end rendered the sound a bit boomy, but it never felt congested. I speak no German, but the chorus’s articulation of the words was sufficiently clear that I could almost understand them. Overall, the C7R was able to bring out much of what I like best about SACDs. When I plugged a pair of Grado headphones into the headphone jack, I was presented with a surprisingly well-defined soundstage with considerable detail. I listened to music without experiencing any fatigue, and found the music very engaging through headphones, too. The C7R has a Wolfson WM8740 DAC chip, and one USB, two optical, and two coaxial inputs. Signals of up to 24/96 are supported via USB, and up to 24/192 via optical and coaxial. The C7R was very musical and sweet, taming the brightness omnipresent on the Corrs’ Home (CD, Rhino R2 73217), played through my Music Hall MMF CD-25 CD player’s built-in DAC. The tight ensemble of unison tin whistle and fiddle lines punched through in “Buachaill On Eirne,” but the bodhran patterns in “Old Hag” were a bit amorphous. The midbass lacked the definition I’d heard through NAD’s C 375DAC integrated amplifier. What the C7R lacked in raw power it made up in finesse and musicality. Low-range definition was less of a problem when I moved away from acoustic music to focus in on, say, John Deacon’s electric bass guitar in “Don’t Stop Me Now,” from Queen’s Greatest Hits I & II (CD, Hollywood HR-62042-2). The C7R also elucidated the purity of Freddie Mercury’s voice in his lead vocals, and of Queen’s trademark backing harmonies, providing an excellent listening experience with these classic rock tracks with driving bass lines. 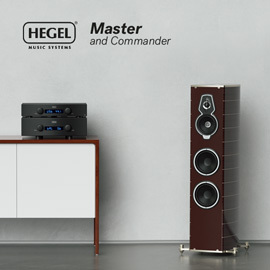 The Music Hall’s DAC failed to match the C7R’s full soundstage width or energetic kick, even at matched volume levels. I had on hand Resonessence Labs’ excellent Concero upsampling USB DAC. After matching it and the Bel Canto’s output levels, I listened to a few albums, first through the Concero’s line input and then the C7R’s internal DAC. The Concero reproduced a more open, broad, and, in particular, deep soundstage with soprano Anna Netrebko’s Souvenirs (CD, Deutsche Grammophon B0012217-02). Her voice sounded more natural, the well-rounded tones of her middle register meshing well with the Prague Philharmonia’s woodwinds in the traditional “Schlof sche, mein Vögele.” In the brass fanfares of Franz Lehár’s “Meine Lippen, sie küssen so heiss,” where the Bel Canto was constrained, the Concero was exciting (as fanfares should be). The C7R sounded good, to be sure, but compared to the Concero, something was missing. Similarly, with “Sunday Bloody Sunday,” from U2’s The Best of 1980-1990, the C7R was less definitive in pushing forward the bass line, and the hits were thinner. The C7R outperformed the DACs built into my Music Hall CD player, Onkyo AVR, and the NAD integrated amplifier I reviewed last year, as well as my E-MU USB DAC, particularly in terms of resolution and clarity. When the Concero was not in upsampling mode, it didn’t sound better than the C7R -- which may have been because the C7R runs all analog content though its own high-resolution ADC/DAC. The C7R’s USB DAC input has the simplest sort of setup: none. Bel Canto uses the USB Audio Class driver provided with Microsoft Windows. I was also able to use the C7R with Ubuntu in a similarly painless way. 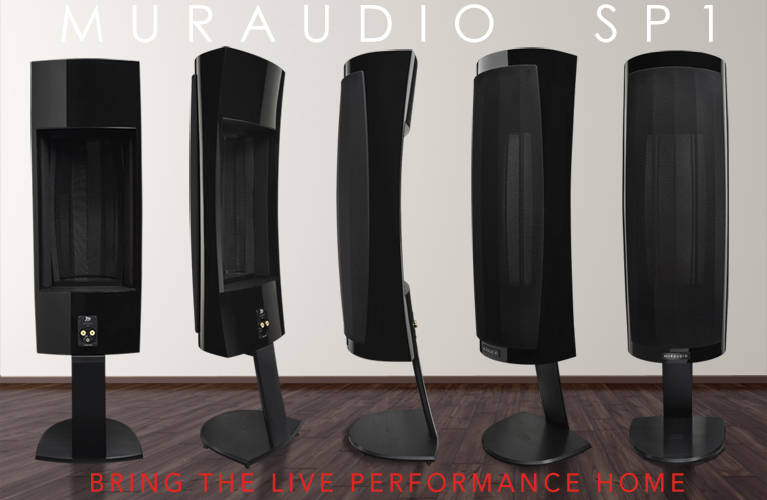 The C7R provides bit-perfect playback, and displays the sample rate received: 44.1, 48, 88.2, or 96kHz. Mozart’s Piano Sonata No. 8 in A Minor, K.310, performed by Hélène Grimaud (24/96 FLAC, Deutsche Grammophon/HDtracks), was rendered with exceptional crispness and clarity. The C7R easily kept up, communicating the many changes in dynamics while maintaining an engaging energy, and revealing the delicate ornamentation in the second movement, Andante cantabile con espressione. And with the Quartetto David’s recording of Cherubini’s String Quartet No.1 (16/44.1 FLAC, BIS/eClassical), the soundstage filled the space between the speakers but lacked depth. The C7R was able to keep up with the latter movements’ fast-moving passages, providing the necessary dynamic range while remaining in control of decays and transients. The timbres of the four instruments were distinct but well blended, with good placement of individual voices. The C7R has facilities for two analog sources seemingly out of place in an outspokenly digital audio center: phono and FM. While these are only infrequently my top choices of source, I can see how the C7R could change that. I played LPs on my Goldring turntable, fed directly to the C7R’s MM phono stage and through my Cambridge Audio 540P outboard phono preamplifier, connected to the C7R’s line in. The two sounds were worlds apart. On Mongo Santamaria y Sus Ritmos Afro-Cubanos’ Yambu (LP, Fantasy/OJC 8012), the C7R’s phono stage made what I’d thought was a compressed soundstage with tinny percussion strokes fill a wide soundstage, and arrayed across it were a variety of the distinct timbres of individual percussion instruments -- all pictured on the album’s back cover, but which I’d been unable to discern before. I began to understand why LPs survive as digital enters its fourth decade. Finally, the C7R’s FM tuner provides digitally controlled tuning, RDS/RDBS display, and ten station presets. I tried two indoor FM antennas, a RadioShack and a Fanfare, and two tuners for comparison: the tuner built into my Onkyo TX-SR500 AVR, and a Sangean HDT-1 HD tuner, both relying on the C7R for amplification. With the RadioShack antenna, the C7R pulled in only two-thirds as many stations as the Onkyo and Sangean. Most of the missing stations more than 20 miles away; unfortunately, most FM stations in my area, and all of the local ones, are either victims of the compression of the loudness wars, or talk radio. The two I really wanted to hear, KUSP and KKUP, are 35 and 60 miles away, respectively. When I switched to the Fanfare antenna and atmospheric conditions permitted, the C7R added to its roster ten stations -- including the ones I wanted -- for a total of 31. The Onkyo pulled in a few more, but couldn’t lock on to them well. With the Onkyo and Sangean tuners I listened to KKUP’s Jazzline, which sounded feeble, small, and utterly lacking in midbass and a sense of the room’s sound -- but the C7R’s tuner was able to transform it. Suddenly, I heard drums and a double bass playing in a club. The sound was fuller and warmer, the music more engaging. Another “folkways”-type program on KKUP featured ukuleles, whose distinctive timbre was faithfully communicated. I can only imagine how great it might be to use this tuner in a city with some decent choices in FM programming. Last year, I reviewed a mostly traditional integrated amplifier from NAD that provided a built-in USB DAC and seven analog inputs -- most of which I didn’t use -- but only a single optical digital input. With a quality integrated-DAC, I’m more likely to use a proliferation of digital than analog sources, and I need digital inputs to match. 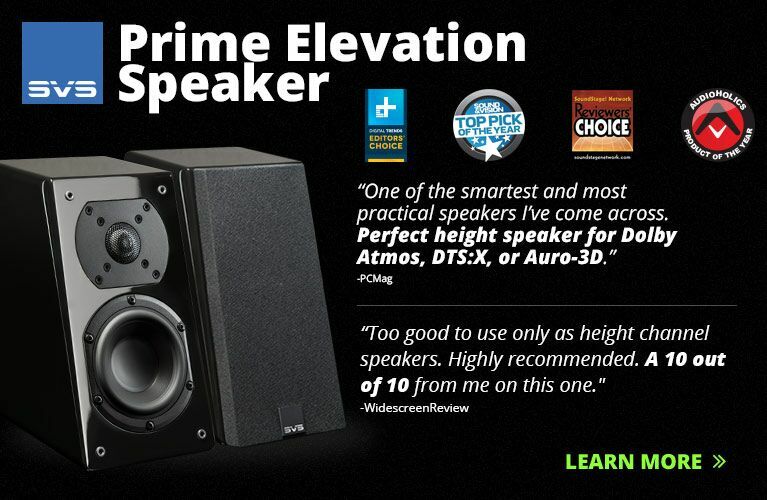 Since the C7R also includes a quality FM tuner and phono stage, analog inputs become yet less critical. In the e.One C7R receiver, Bel Canto Design has assembled a wide range of good-sounding possibilities into a compact and seamlessly integrated package. They have boldly eschewed connectivity options that go unused by many customers, replacing them with those that are most needed now. 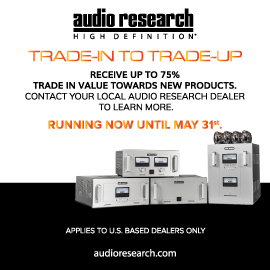 For those who’ve gone mostly digital but still want to listen to the occasional LP and/or FM broadcast -- especially those who have a wide choice of local FM stations -- the C7R is well worth an audition.